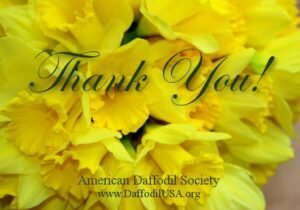 This Fall Forum and Board Meeting has been planned to coincide with departure for those attending the World Daffodil Convention (WDC) 2020. You definitely want to be on the “Party Plane” when it departs LAX on SUN evening SEP 6th 2020—bound for Sydney, Australia, and then onto Hobart, Tasmania for the optional Pre WDC tour! Flights departing LAX for Sydney leave around 10:45PM on SUN SEP 6th. We want to invite everyone to avail yourself of this opportunity, as our Fall Forums are available to all daffodil lovers. Please come, whether or not you are going to the WDC.